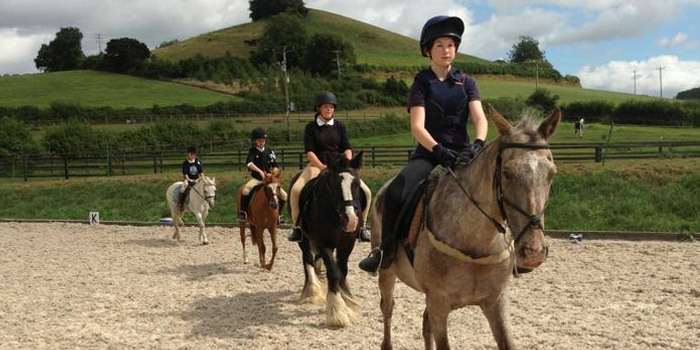 Here at Bowdens Riding School we offer a variety of activities and lessons. We cater for riders of all abilities and experience; our youngest riders are 4 years old and some of our older riders are enjoying their retirement. It’s never too late to enjoy the experience of riding. We keep our lessons small to ensure our teaching is to an optimum and that our riders experience the best possible times! Our Saturday riders are all children; they ride within small groups to the level of jumping at a canter confidently. They then progress into Sunday or after school lessons. Our adults ride throughout the week and on Sundays. 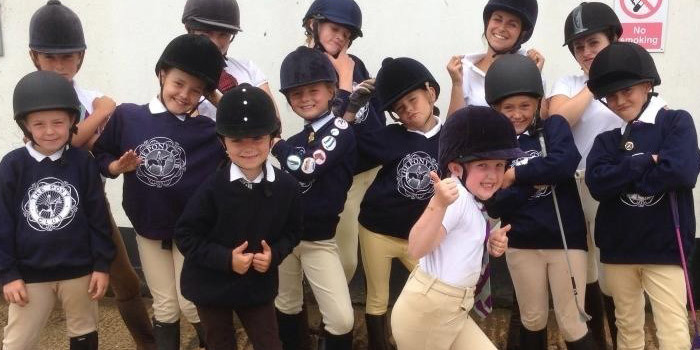 We are one of their largest Pony Club Centres in the country. The Pony Club has been around for 85 years this year, and have been the starting point for a large majority of equestrian athletes, medal winners and anyone interested in riding and horse care. 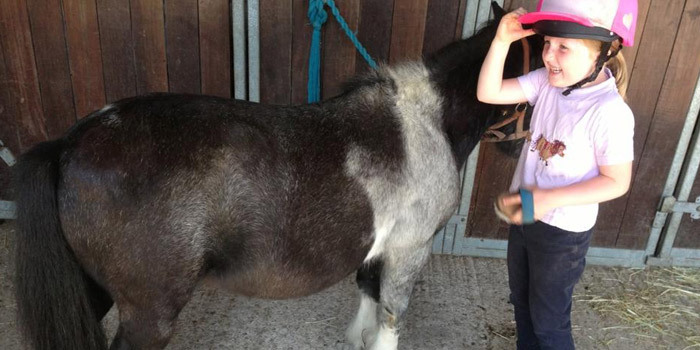 You can discover more about the Pony Club by visiting the link below. We organise various holiday programmes throughout the year, including fun days and workshops. Spaces are limited so book your place early to avoid disappointment. Please view the next programme outline to see what we have available. Riding is a risk sport and there is a risk of personal injury. Every precaution is made to prevent accidents but this establishment, owners, third parties or other connections take no responsibility for personal accident, theft, liability, death or injury however it is caused. It is the persons’ responsibility to have adequate insurance cover for themselves. Bowdens Riding School prides itself on taking care of the individual needs of every client by keeping group lessons small, or teaching individually. The horses and ponies are very carefully selected and most have come from competition careers, so they are well mannered and well schooled.